Visiting the Atlanta History Center was interesting, educational and, most of all, exciting. As a tourist in Atlanta (even though I’m a resident, I love playing tourist), the Center has been the best surprise yet—a tourist's goldmine! 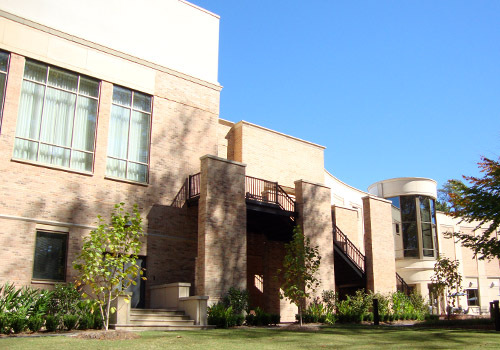 The day I visited, I was on the 33-acre campus for more than four hours and barely made a dent in available offerings. I took two tours: the Swan House, which I blogged about recently, and the Tullie Smith Farm. I had a quick snack at the onsite café and was then off to a couple of museums in the Center, my favorite being the Centennial Olympic Games Museum. I also walked through several historic gardens. I arrived in time to join an 11:00 a.m. tour of the Swan House. The ticket agent also offered me a pass for a 1:00 p.m. tour of the Tullie Smith Farm, which I also accepted out of curiosity. Tour passes are "required" for the timed tours. One of the really nice things about this place is that you don't have to idly wait until your tour starts. There's lots to see and do before any given tour start time. I had about half an hour before the start time of the Swan House tour so I headed to the Centennial Olympic Games Museum. I lived in Atlanta in 1996 when the city hosted the Olympics, so I entered the gallery with a strong interest and a slight sense of nostalgia. The exhibit is as bright and festive as are the Olympic Games themselves. My sense of nostalgia quickly faded as I was transported nearly 15 years into the past, immersed in the excitement of an event that transformed the City of Atlanta, I believe for the better. 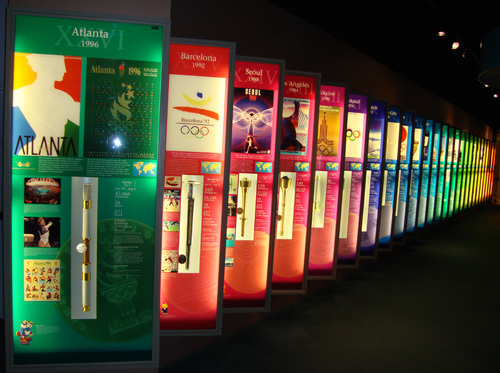 The museum contains "the world's largest collection of Olympic Torches." The torches, and relative Olympic coins, are displayed chronologically, from the resurrection of the Olympic Games in 1896 to the 1996 Centennial Olympics, including pylons noting cancelled Olympic Games. I was so caught up in the Centennial Olympic Games exhibit that I almost missed the start of the Swan House tour. I made a brisk five-minute walk to the house. More on this tour, and the saucy Linda, is in my blog post "Swan House: Where Splendor Migrated." After exploring the gardens around the Swan House, I had time to visit the Cherry Sims Asian-American Garden. 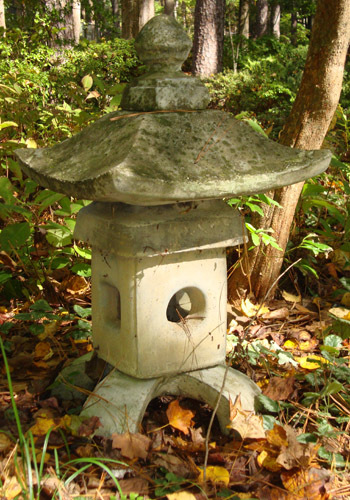 Quite lush, even for autumn, the garden features Asian plants and their American counterparts, with statuary and a gazebo—a unique approach to multi-cultural botany, I thought. I wasn’t sure what to expect at the Tullie Smith Farm. Although seeing on arrival that it's a farmhouse and some barns, I suspected there might be more to it since it is featured in the Center's brochure. I arrived a little early and explored the Farm's gardens which included vegetable, fruit, flower and herb variations. On the tour, we learned how some of these gardens were maintained in the early- to mid-1800s, including "sweeping." Our tour guide greeted us at precisely 1:00 p.m. with an invitation us to join her on the porch of the Tullie Smith House. The tour guide's Southern accent was, surprisingly, a Scottish brogue. A delightful and charming lady, presumably in her 70s, she was dressed in period costume. 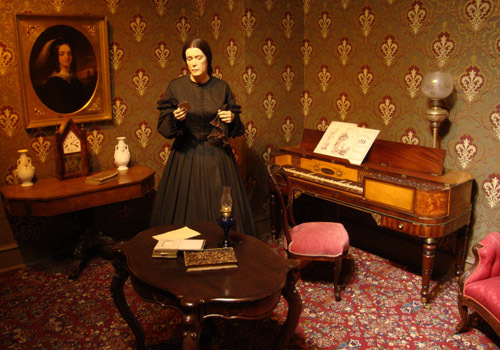 The dry-humored, highly entertaining "young lady" toured us through the living room, bedroom, and weaving room in the main house and then, in a separate building, the kitchen. 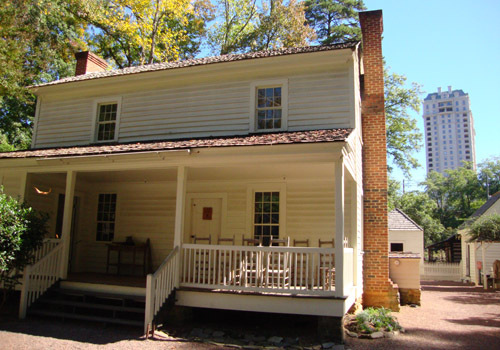 Kitchens were often located in detached buildings at the time to minimize fire hazard to the main house. Afterward, I headed back to the main building of the Center for a little lunch at the Coca-Cola Café. Between me and lunch was the Mary Howard Gilbert Memorial Quarry Garden. The pleasant stroll included an opportunity to explore a comprehensive collection of pre-colonial Georgian plants. After lunch, I toured the museums and exhibits housed in the main building of the Atlanta History Center. First up was "Down the Fairway with Bobby Jones," chronicling the life of the legendary golfer through an extensive collection of artifacts. As are many Southerners, I have a more than passing interest in Civil War history. 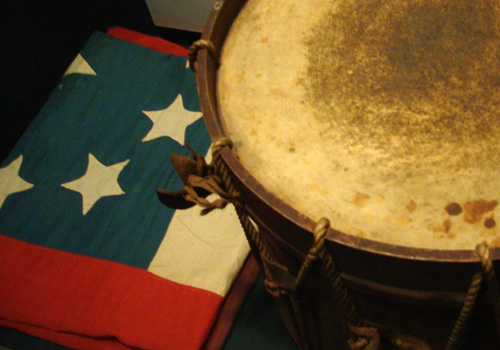 The Center has an abundant collection of artifacts, including cannons, swords and uniforms, that tell the story of the war when 670,000 Americans lost their lives…a most sobering exhibit. Provided by the Library of Congress, an exhibit titled "With Malice Toward None: The Abraham Lincoln Bicentennial Exhibition" is the most comprehensive exhibit on the sixteenth president of the United States I've ever seen. Its run at the Center comes to an end on Sunday, November 7. The folk arts exhibit is a spectacular array of Georgian folk culture. The collection includes antique and contemporary artifacts, including colorful quilts, whimsical pottery and intricate saw grass weavings. One of my favorite exhibits was "Metropolitan Frontiers." The most interactive exhibit in the Center, the vehicles, videos and vernacular signage, in addition to a wide variety of other artifacts, makes for an exciting tour through Atlanta's rich history, 1835-2000. Tracing the city's lineage from Indian settlements to modern skyscrapers is impressively accomplished in one space. Is my curiosity for Atlanta history satisfied? To say that I'm impressed with the Atlanta History Center would be a gross understatement. I could easily have spent the entire day contentedly exploring. I can hardly wait to return to see what I missed on my first visit. Hours: Monday-Saturday 10:00 a.m.-5:30 p.m.; Sunday 12:00 p.m.-5:30 p.m.